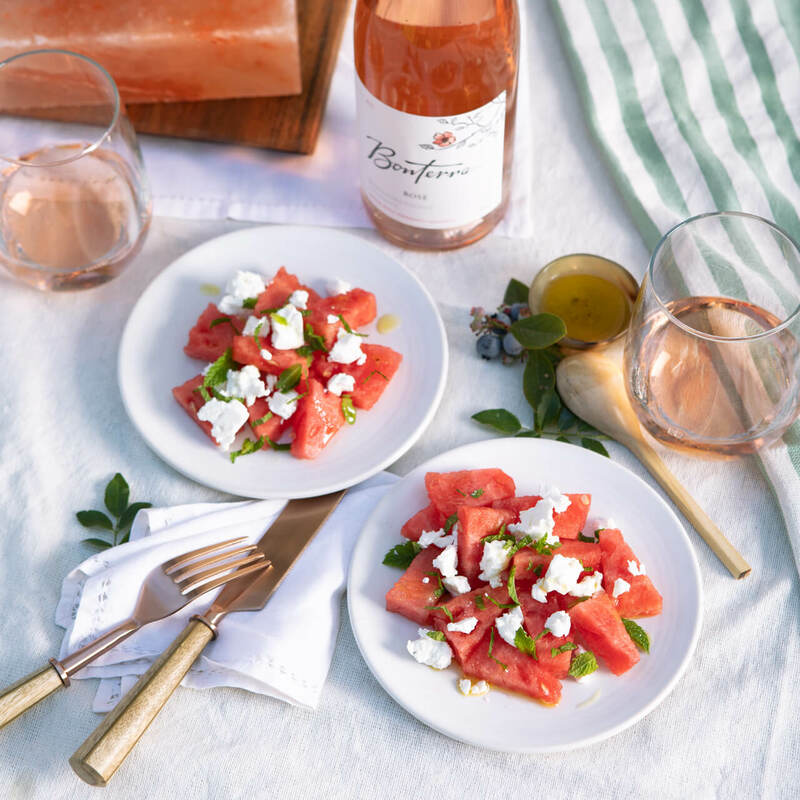 Looking for the perfect complement to our 2017 Rosé? Try this tasty summer salad, made with sweet seasonal fruit and topped with feta and fresh mint. We love enjoying this recipe during the last few weeks of summer as an easy, refreshing treat for any time of the day. Not to mention, it’s the perfect way to enjoy your fresh summer bounty! Enjoy as a side dish or on its own.